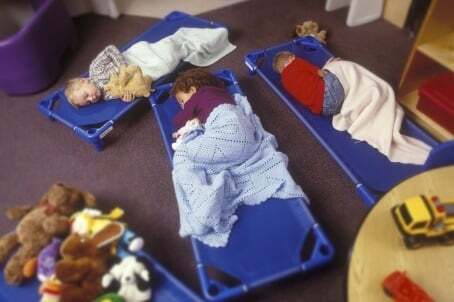 It's time to talk about Extreme Daycare as more centres offer 24 hour. Would you put your child in a 24-hour day care? Parents are working longer and more irregular hours than ever before, which is why an increasing number of Australian daycare centres are offering late-night and 24-hour care. It’s called Extreme Daycare, and while Australians have only just realised the need for it, in the US business it is booming. 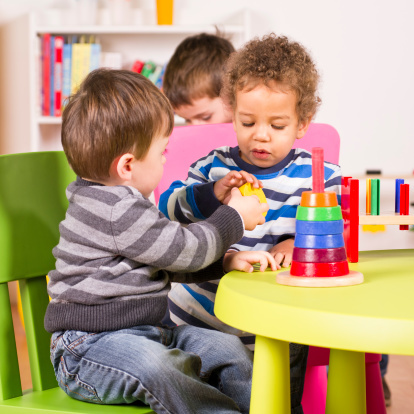 Dee’s Tots Childcare is a 24-hour daycare centre located in New York. The centre is run by Delores and Patrick Hogan, they’ve been in the business since 1985 and care for children who stay late and some who stay overnight. The hours mean that the focus at Dee’s is less about education and more about providing the kids with meals, bathing and sleep. Earlier this year, Prime Minister Tony Abbott announced a Productivity Commission inquiry into more flexible childcare. From July last year, 18 locations started offering extended hours to emergency workers. The idea of the trial was to gauge demand for Extreme Daycare. An increase in demand was reported, however previous trials have struggled to fill places. 2. Parents may fear they will be judged for dropping children off at night. A 24-hour daycare centre in Sydney, World Tower Childcare, charges $60 per child staying overnight. On top of other childcare costs this could be too expensive for families to use on a regular basis. Nannies, family and friends used to be the only option for parents needing care for their children during irregular hours. However, nannies are too expensive for many families, and you can only push the friendship with family and friends so far. 1.4 million Australians are shift workers. That accounts for 16 percent of all workers, according to the Australian Bureau of Statistics. So, is there a case for Extreme Parenting expanding, as long as it is made more affordable with government assistance? Will childcare and education in Australia ever match up with parents&apos; work hours? Would you use 24-hour daycare? Are they a good idea? My son hates his new pre-school. Help! Six reasons why stay-at-home-mums need daycare too.